"A teacher affects eternity; he (she) can never tell where his (her) influence stops." Final presentation is at the HELTASA Conference on the 29 November 2012. Presentation of the SCROLL will be at the April 2013 Graduation ceremony. 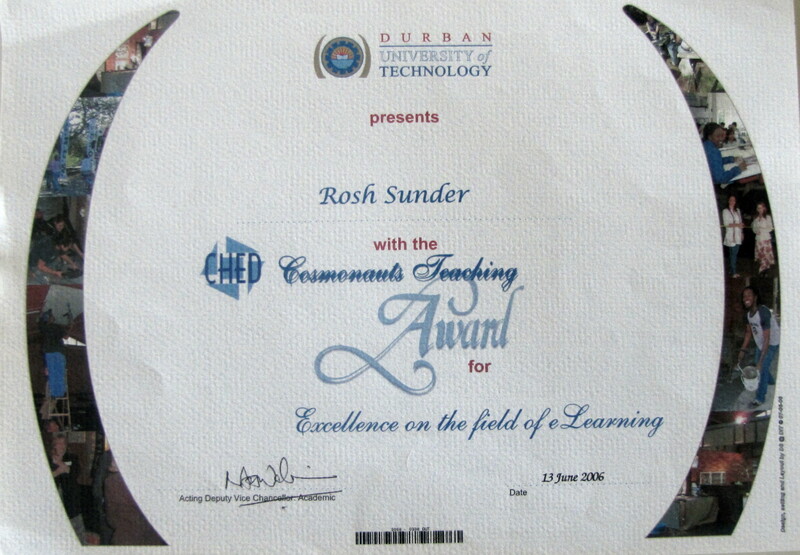 Proud recipient of this award for Teaching Excellence in the Faculty.